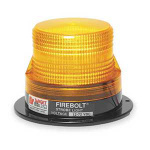 Federal Signals emergency lighting, beacons and lightbars are designed for worksites and emergency locations. The LED Lightbars are ideal for snow plows, construction and repairs and come in multiple lenghts for a variety of applications. 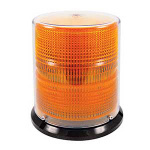 Take notice with our attention-getting, high and low profile beacons at an affordable price. Emergency lighting consists of several different types of lighting that would be used in a emergency situation. Light bars, beacons, search lights and spotlight are some of the types of lighting available in the emergency lighting category. There are two main brands of lighting that are sold on this site. They are Federal Signal and Sound Off Signal, both of which are both innovative and build quality equipment. Light bars of usually full size light bars that extend from one side of a vehicle to the other. The consist of LED light or tradition rotating style's. In most case's they are bolt-on in design and provides a wide variety of choices in size height and dimension to fit different type's of vehicles and situations. Mini light bars are just that, mini version of the large full light bars that were previously mentioned. Some of these models offer magnetic mounting options. 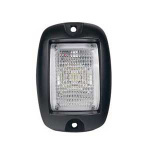 They are available in LED and traditional bulb style rotation or flashing. Beacons are individual emergency lighting items that can be just single strobe or flashing light. The can also be paired up with multiples of others for increased visibility depending on the desired visibility. These are also available in LED or traditional bulb style. Perimeter lighting is a lighting solution that focuses on two things visibility and area illumination. Depending on the application and need of these lights they could be used to increase illumination in dark areas when working in the dark or can be used for visibility during the night. These lighting solutions are available in LED and traditional bulb also. Direction and warning lights and indicators are are just that. These a specifically designed lighting products that can display traffic shift patterns to approaching traffic or warn oncoming vehicles of a emergency situation ahead. They have multiple application and patterns for whatever situation could arise in a emergency or high traffic work location. 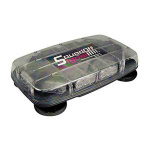 Work area lighting is lighting specifically designed for illumination of a work site or location. Good illumination on a work site or location brings with it better security and safety. It reduces accidents due to lack of visibility in areas where existing illumination would not be sufficient.